Few law firms dedicated to representing plaintiffs have a track record like Hare Wynn Newell & Newton, which was founded in 1890. Among the firm’s second century roster of stars is Lawdragon 500 member Matthew Minner, who is managing partner of Hare Wynn’s Lexington, Ky., office. The Vanderbilt Law graduate brings that spirit to his activities outside of the practice of law, as well. An active member of his church, Minner is President of the firm’s charitable arm, the Hare Wynn Foundation. He and his wife, Joy, also founded Cure KY Kids, a nonprofit group that raises funds for cancer research and provides support to sick Kentucky children and their families. Lawdragon: Can you describe the mix of work you do and how that fits into the firm’s mission? Matthew Minner: We are 100% a plaintiffs’ litigation firm with cases and clients that range from some of the most complex litigation in the country to single event matters. I am coming off of a stretch where I spent a great deal of time in the western part of the country, including Alaska and in Montana in cases against Merck. We had a great team on those cases and achieved record results. As a firm, Hare Wynn recently completed the first Syngenta corn trial. That case resulted in a $217 million verdict on behalf of the class of Kansas corn farmers that we represent. In the next several months the firm along with co-leads will be moving toward helping corn farmers in the trial of the next state class – the Arkansas and Missouri class claims. LD: Are there any new areas or other trends in the firm’s cases? MM: We are constantly being invited to evaluate cases and whether there is an opportunity for Hare Wynn to help our potential clients achieve the results they are after. We invest a tremendous amount of time up front in evaluating potential cases and are very selective in the ones with which we choose to involve our firm. Now is no different. Attention has turned to the opioid addiction epidemic in many parts of the country and the role some pharmaceutical companies have played in creating and feeding that epidemic. It is a national problem that is destroying lives and costing states hundreds of millions of dollars. In the single event realm, we are on a campaign to improve the quality of long term health care available to and received by the elderly. Our country’s “Greatest Generation” is aging and are finding themselves victims of abuse and neglect in nursing homes at an alarming rate. Certainly not all, but many, nursing homes have become nothing more than profit centers that treat the residents like cattle. The federal government is the biggest funding source of nursing home care, mostly through Medicaid, a joint federal-state health care program for those with financial needs, and Medicare, the federal program for elderly and disabled people. In order for a facility to receive that funding, they are required to follow certain standards and regulations. Those federal health and safety standards are designed to protect nursing home residents from abuse yet year over year reports of abuse are increasing. Most states do not have the resources necessary to oversee and enforce those regulations. That’s why private enforcement is becoming a critical element to raising the overall level of care for our Greatest Generation. LD: What do you find professionally satisfying about the work you do? MM: The teams that we are able to assemble at Hare Wynn make the work for our clients incredibly satisfying. Oftentimes, plaintiffs assume the role of “David” – and the ability to go toe-to-toe with some of the biggest opponents in the world and win is quite satisfying. In a recent case, “Goliath” had four national firms representing them. One firm from Texas handled the offensive discovery, a Philadelphia firm handled their defensive discovery, a Chicago firm handled the nuts and bolts litigation and Skadden handled most of the oral arguments and oversaw the operation. These were all excellent defense lawyers at very respected firms. It is rewarding professionally to put a team together to compete against that level of defense and to achieve the desired result for our clients. The satisfaction you ask about starts with having the fire and the desire to compete at the highest level. In college football the best coaches and teams want to compete against Alabama, in college basketball they want to match up with and beat Kentucky. The teams at Hare Wynn thrive on that level of litigation. LD: Why did you go into law in the first place? MM: I was raised in a military family where a cornerstone of life was service to something greater than yourself. My father served for over 20 years and through two wars. My mother taught high school for 35 years. There are few greater examples of servant leaders than our teachers and veterans – everything they do and are committed to is about others – that’s just how I was brought up. That cornerstone is also a biblical principle that really guides my life and is something I hope that my children adopt as well. The law, and in particular plaintiffs’ work, provided me an opportunity to live that out professionally. Every case is about someone else whether an individual, a business or even the citizens of states that I have represented. Every case provides an opportunity to help someone through a tragedy or to effectuate a positive change or to simply right a wrong. LD: Why did you choose Vanderbilt Law over other options you might have had? MM: I could talk for quite a while about Vanderbilt Law School. It provided everything I needed to become a trial lawyer. The team at Vanderbilt went above and beyond at every stage of my time in law school. The ability to connect with people and to understand people has always been important to me. At Vanderbilt, they invested in the student at a level I had not seen at other schools I considered. I’ll give you an example from before I even started my first class. I was the only one from Kentucky in my incoming class and I didn’t really know anyone going to Vanderbilt. I received a call from the admissions office – I knew them all on a first name basis – and the caller said, “We don’t really act as a placement office for roommates but there is a new student coming in who is a wrestler at Harvard and the two of you just seem to be a perfect fit to go through the rigors of the 1L year together. If you aren’t lined up with a roommate yet, we think you should give him (Chris) a call.” I did and we did end up being roommates for that 1L year and throughout law school and remain close friends to this day. In order to “connect and understand” you first have to genuinely care. Vanderbilt did that before I began and continued to show that personal commitment and connection to its students throughout my time there. The admissions office that invests the time and has the intuition to know enough about incoming students to be able to examine personalities, work habits, and mutual interests and to reach out in that manner in matching a boy from Kentucky and another from Massachusetts really spoke volumes to me. That intimate knowledge of the students and investment in their personal growth and success from the administration, faculty, and placement office continued throughout my time at Vanderbilt. I cannot say enough positive things about how well Vanderbilt prepared me for the practice of law. The opportunities to get on your feet and advocate were limitless and that was important to me as an aspiring trial lawyer. There also was just something different, something special about the students Vanderbilt drew from across the country – and in law school your peers can make the difference in a rough three years and a great three years. In an inherently competitive environment like law school, the collegiality at Vanderbilt was unmatched. My closest colleagues were from or went on to practice in places like Boston, New York, Nashville, Ohio, Phoenix and D.C. Why is that important? Because as a trial lawyer or a corporate dealmaker you have to understand, get along with and relate to people from all walks of life and from all corners of the country. You need to genuinely like people in order to succeed and enjoy your role as a trial lawyer. Vanderbilt gave me the opportunity to grow and to be challenged in so many ways that I truly needed at that point in my life. LD: What advice would you give to current law students? MM: Get on your feet, pick a side or a point and persuade every chance you get. Moot court, trial teams, trial advocacy, appellate advocacy and numerous other similar opportunities are available at every school. There were excellent training tools at Vanderbilt and they provided a top notch experience for me. I hear from young lawyers every day that they just cannot get into the courtroom. Get all of the experience you can while it’s there for the taking during school. Even out of school, teach your Sunday school class, speak to high school students, speak at seminars or conferences – do whatever you can to get on your feet. Presenting your case whether to a judge or jury is like anything else, you can’t be very good at it if you don’t do it regularly. LD: What brought you back to Kentucky? MM: You might think bluegrass, thoroughbreds, bourbon, or basketball but the truth is Hare Wynn’s footprint was growing nationally and Kentucky was one of the places where we had seen a lot of success for years before I returned home to lead that office. In 2012, when we opened, we had recently completed a pharmaceutical case on behalf of the Commonwealth of Kentucky that was resolved for $25 million and later that year we led a great family to a significant nursing home verdict in Louisville. Soon thereafter we launched our Kentucky office and haven’t looked back since. LD: Please tell us about a few of your favorite cases in your career. MM: Wow, there are so many that mean so much to me for many different reasons. Many clients I just love, sometimes it’s the principle of what we’ve stood up for, sometimes it’s the success in the cases that others wouldn’t touch. Let me give you an example, one Friday afternoon I had a mother and father come and sit down in my office. I knew they were there because their son, a young police officer with a promising career, life and family ahead died tragically on the job. The young officer responded to a call involving a domestic disturbance involving a manager at a restaurant. When he arrived and exited his vehicle that manager ran at him through the front door firing a weapon and hit the officer in the leg. The officer returned fire from the pavement of the parking lot and, on the fourth shot, his weapon malfunctioned and jammed, leaving him immobile and defenseless. The assailant walked across the parking lot to the officer, aimed at point blank range and took that young police officer’s life. His mother and father had been escorted to my office before I walked in and, when I did, they had placed photos of their son across my desk, headline newspaper articles showing political dignitaries and lines of officers in dress blues attending his funeral. Those photos were side-by-side with family pictures of him as a boy growing up. With tears in their eyes, they explained what had happened and how they had not been able to find representation and their time was running out. The criminal case was clear but the civil case was a different story. “We were sent to you because we were told you can help in difficult cases like this,” they said. A lawsuit involving the gun manufacturer and a combined dram shop action followed. Two years later, that case resulted in a settlement with one defendant and a jury award against the others in the amount of $37,500,000. MM: There are other cases that presented interesting challenges. We always work hard to find a way. Oftentimes we are brought into cases that have encountered significant obstacles as trial approaches. One of those cases involved a Ford automotive business entity and that case took me all the way to Ghana, Africa, to secure key testimony that helped break the case open. That testimony was taken in a building surrounded by barbed wire and machine gun yielding guards. As trial approached, that case settled for about 50 times the settlement offer that was presented before our involvement. In another interesting single event case I was asked to represent an African-American Forestry Commission employee in a small pocket of the deep south where others didn’t believe he could receive justice. He had been severely burned in a fuel fed fire while fighting a forest fire during drought conditions. He sat in an enclosed operator’s compartment of his John Deere tractor when the fuel line beneath the operator’s seat burned through shooting flames into the operator’s compartment like a fire hose. He struggled through the fire to release the door on the operator’s compartment and fell from the burning tractor but not before he was burned over 65% of his body. Testing showed that the fuel line on John Deere’s “fire fighting” tractors burned through to the heat of a simple match in less than 1 second. At trial, important witnesses “disappeared” and other landowner locals backtracked on their testimony and bent over backwards to help the manufacturer in an effort to ensure that my client and friend was awarded nothing. They claimed that he operated the tractor too close to the fire and that his own carelessness was to blame for his burn injuries. That case was tried in a very small town, in a beautiful antebellum court house on the square. This may have been the biggest case to ever come through that courthouse. The community was divided but, by the end of that two-week trial, the jury was not and everyone in the courthouse knew it. The result changed his life and, a testament to the man he is, even after his award he went right back and returned to work with the Forestry Commission. It’s certainly not me and the Hare Wynn team changing their lives, it’s them changing mine. LD: Did you have any mentors who were important over the course of your career? MM: I have been blessed to have had the opportunity to spend time with several great lawyers and judges that certainly have shaped my career. As a teenager, I used to help do yard work for a great appellate judge. After, I would sit on his front porch and over a glass of sweet tea he would share war stories that peaked my initial interest in the law as a career. I’ve taken a piece of so many with me as my career has developed. My federal clerkship with a tough, perfectly detailed, always prepared, fair, hard-working and well respected judge. I learned more in that year with Judge Lynwood Smith than in any other comparable period of time in my career. I really cannot look through the lens of hindsight without seeing that clerkship year playing such an important role in my career. As a young lawyer at Hare Wynn I had the incredible opportunity to learn from litigators who were pioneers in establishing the practice of plaintiffs’ law nationally as we know it today. I trained under the lawyers that are truly the best in class. To learn from the same lawyers that uncovered the profits over safety “smoking gun” memo in the Ford Pinto case and litigated numerous other renowned cases has been priceless. Lawyers like Alex Newton and Leon Ashford invested in me personally as a young lawyer and I’m forever grateful for them providing me with the opportunity to succeed. LD: Please discuss some of your charitable work. MM: Several years ago, my wife and I founded Cure KY Kids – a non-profit organization inspired by the thousands of Kentucky’s children and their families that are fighting pediatric cancer each day. Cancer is the leading cause of death by disease among children. Approximately 13,500 children are diagnosed with cancer each year and efforts involving research and treatment remain vastly underfunded. In Kentucky, there is approximately $10 million budgeted for inmate dental care but zero budgeted for pediatric cancer so the need is really there. As an organization we recently hit a home run for the kids by establishing the Curing Childhood Cancer license plate in Kentucky. We have an outstanding board of directors and together with volunteers and families from across the state we all worked with the Department of Transportation in order to meet the requirement to make this happen. A portion of each plate purchased goes to provide support and services for children in Kentucky battling pediatric cancer. This is going to be a real difference maker in raising both awareness and funds. In addition, I have been the President of the Hare Wynn foundation – the charitable arm of the firm which is very important to us. As a firm, we believe it is our duty to support the communities where we practice. LD: What do you do for fun outside of the office? 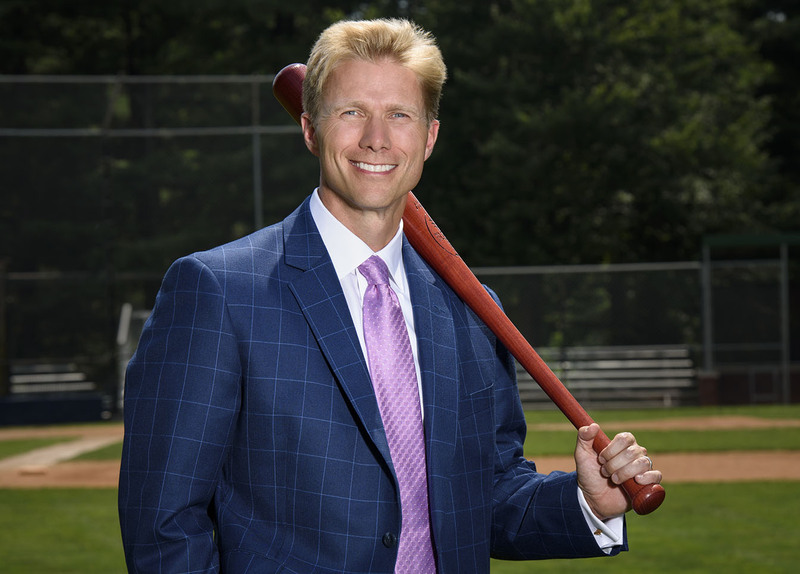 MM: When I’m not practicing law you may find me hitting fly balls to little league baseball players at the neighborhood field or calling a double reverse or hitch and go on the football field. I enjoy working with kids and enjoy getting to know their families through coaching. It’s probably easier to get me to talk about back to back to back Lexington Junior Super Bowl Championships than it is to discuss a recent success in the courtroom. That’s something I’ve done since my years as a young lawyer. As I mentioned earlier, giving back is important and this is one way to stay involved in your community. If we spend all of our time with lawyers, how are we ever going to connect with and be able to see the world through the lens of jurors or our clients?